through fun, hands-on science activities, lab experiments, and workshops that convey scientific principles while building self-confidence and developing the skills to problem-solve using math and technology. 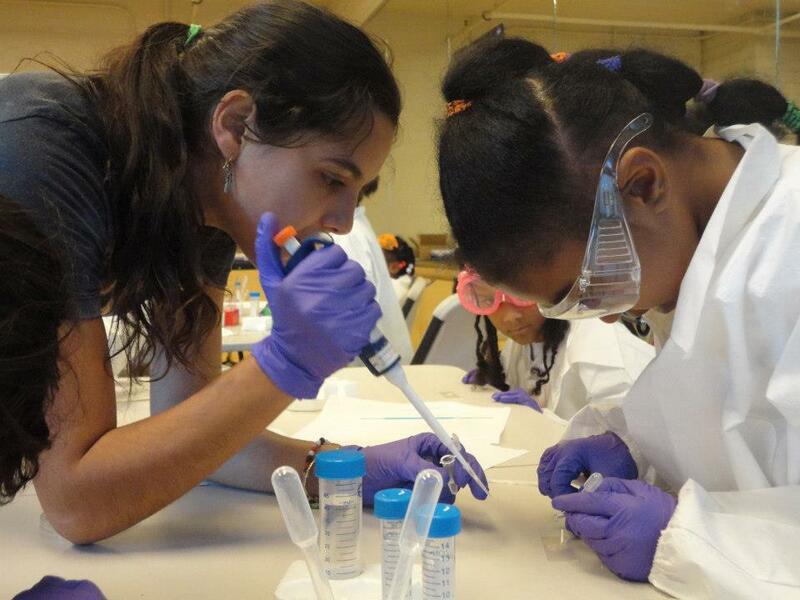 Women leaders and STEM professionals mentor and inspire NexGeneGirls participants to pursue STEM careers and help to reaffirm our vision to increase diversity in the fields of science, technology, and engineering. We support participants dreams of breaking the cycle of underrepresented and changing perceptions to create a culture of opportunity for young girls. Find out about our organization, mission, our methods, and the results of our years of community engagament.